(Natural News) The health benefits of vitamin D cannot be overstated. Low levels of this crucial hormone have been linked to multiple diseases, including type 2 diabetes, stroke, autism, respiratory illness, depression, Alzheimer’s disease, skin conditions and even cancer. Achieving and maintaining optimal levels of vitamin D is not always easy, however. The body cannot manufacture its own vitamin D and is reliant on exposure to sunlight and, in some cases, supplementation to maintain adequate supplies. According to the Vitamin D Council, even eating all the right foods cannot provide the body with enough of this vitamin. And, even with the right amount of sunlight exposure and supplementation, the body’s ability to absorb this nutrient can still be impaired. A study by researchers from Vanderbilt-Ingram Cancer Center, published in the December issue of The American Journal of Clinical Nutrition, found that the mineral magnesium is crucial to the optimization of vitamin D levels. To provide the best possible benefits to the body, vitamin D levels have to be just right – neither too high nor too low. The Vanderbilt-Ingram researchers set out to determine why some people’s vitamin D levels don’t rise even when they are given high dose supplements, and what magnesium’s role is in the process of balancing these levels. Shrubsole and Qi Dai, M.D., a professor of cancer research and lead author on the study, conducted their research on the link between vitamin D and magnesium as part of a broader study into prevention of colorectal cancer. As reported by Natural Health 365, the vitamin D levels of those who received both magnesium and vitamin D supplements were optimized. Vitamin D levels were lowered in those whose levels were too high, and increased in those whose levels were too low. This study’s findings are important because experts estimate that 80 percent of Americans are deficient in magnesium. Since the research indicates that low levels of magnesium directly impact the body’s ability to synthesize vitamin D, and vitamin D is so crucial to maintaining good health, the vast majority of us are in serious trouble unless we increase our magnesium levels. Magnesium doesn’t just help balance the body’s vitamin D levels, however. It is crucial to more than 300 biochemical reactions and processes in the body. 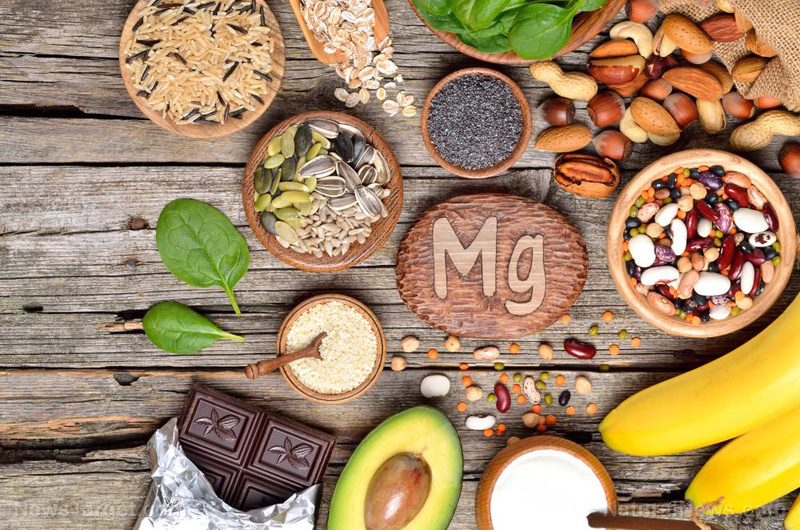 Fortunately, there are many foods that are rich in magnesium, and increasing consumption of these can help prevent low levels of this essential mineral. These foods include green leafy vegetables, seeds and nuts, organic tempeh, organic tofu, cacao, quinoa, summer squash, raspberries, black beans and seafood.